The 37mm timepiece comes in an 18-karat white ($62,100) or rose gold ($59,200) case and both versions come on a dark blue alligator strap with an 18-karat white or rose gold folding clasp. 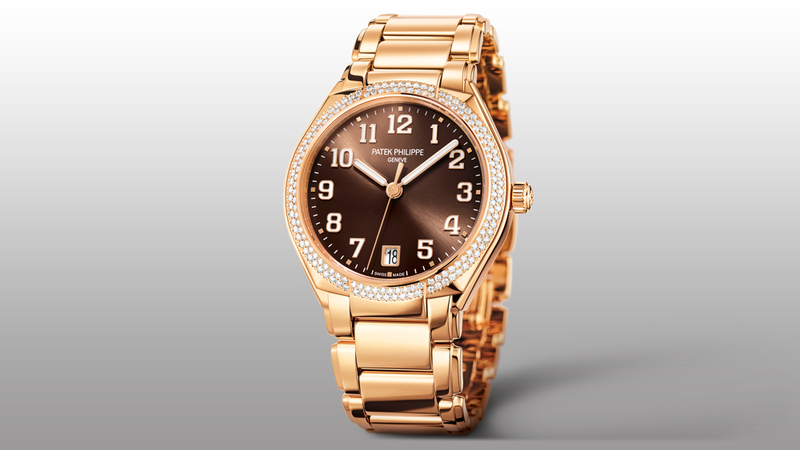 The new Patek Philippe Twenty~4 Automatic collection is the first new women’s line introduced by the top tier watchmaker in 19 years. The new iteration of the Twenty~4 Collection (the line was first launched in 1999 and featured a quartz movement), comes with an automatic movement, proving that the watchmaker is listening to women who’s tastes are evolving to demand more complicated timepieces. The caliber 324 S C movement comes with the presitigious Geneva Seal and features 45 hours of power reserve. 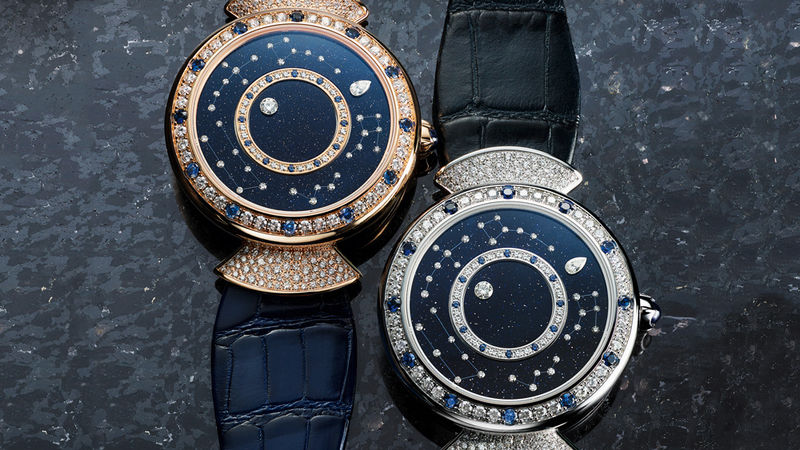 The watches come in five different models: stainless steel with a sunburst blue dial or sunburst gray dial, both with a diamond bezel; rose gold with a sunburst chocolate brown or silvery grey dial, both with a diamond bezel; and a dressier 18-karat rose-gold version with 18-karat rose gold hour markers, a diamond bezel and lugs, and a bracelet accented in diamonds on the outer links. Our pick for the best of the lot is the rose gold version with the sunburst chocolate dial, but every watch in the collection makes for a generous gift for a loved one that can be worn daily. Prices range from $33,900 to $73,700. 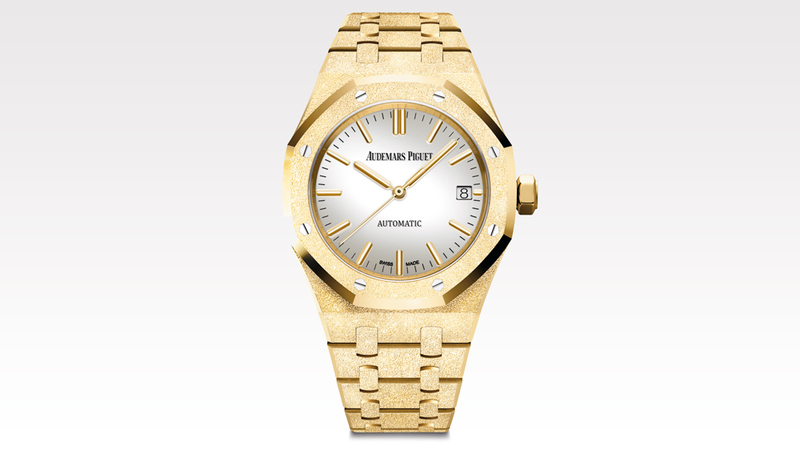 This year, Audemars Piguet tapped Bucci once again for another collaboration. The latest is a 37mm Royal Oak in frosted gold (also known as Bucci’s “diamond dust”) for women. The frosting effect is a technique that Bucci also uses in her jewellery. 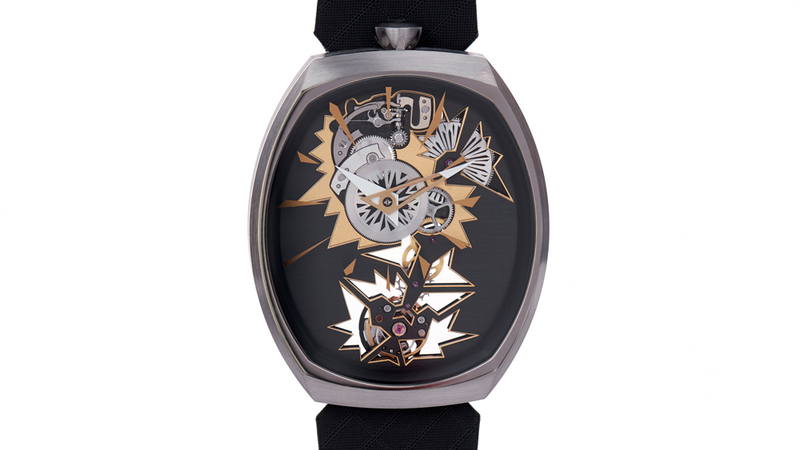 The dial features a silver-toned mirror that not only picks up the wearer’s reflection but also absorbs the colours of the wearer’s surroundings. 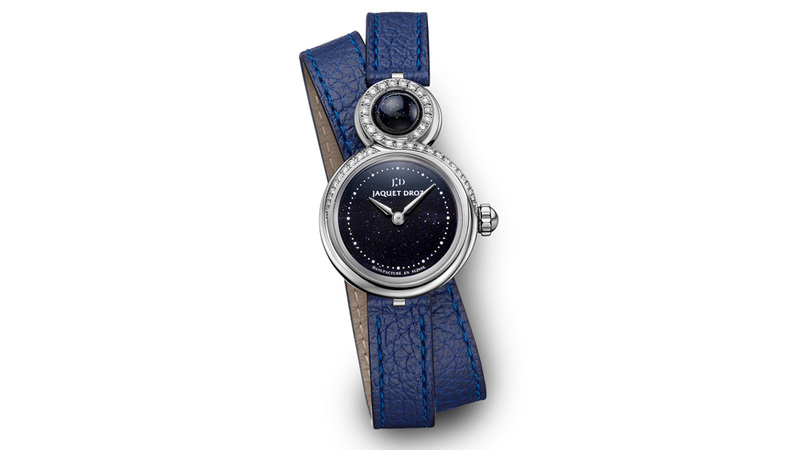 In both size and aesthetic, it’s a statement-making timepiece for a woman—but without every employing a single diamond. The Royal Oak is around $75,050 and limited to just 300 pieces, so if you can get your hands on one, one lucky lady will be all smiles this holiday season.